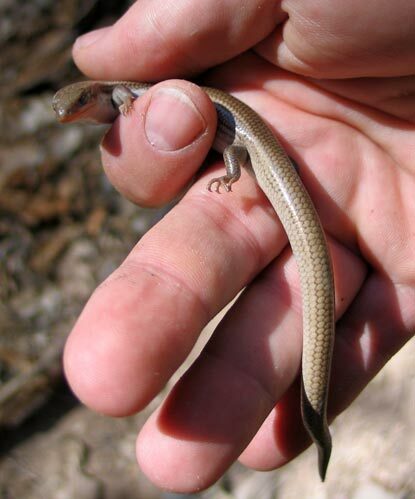 This many-lined skink (Eumeces multivirgatus) was found in Frijoles Canyon in Bandelier National Monument near Los Alamos. This is an example of the stripeless morph, seen more in drier habitats. We just found a hatchling blue tailed skink tonight and it's a beauty. Jet black with an electric blue tail. I'll try and get a picture, but it's really a fast one! Can these be "sexed" via colorings?